On March 15, 2019, Hilary will be speaking at the Annual Joint Family Law Program, (Jointly presented by the Law Society of Manitoba, The Court of Queen’s Bench Family Division Judges and The Manitoba Bar Association, Family Law Section) about best practices and latest developments in screening for power imbalance and intimate partner violence in family dispute resolution processes— family mediation, arbitration and parenting coordination. Click here for more information. 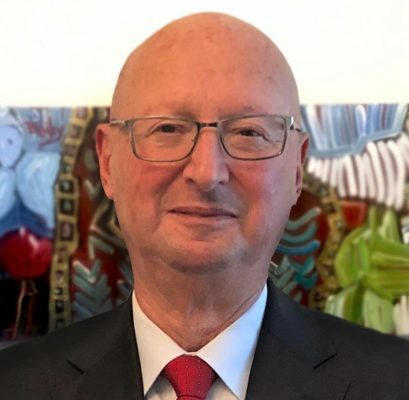 The Honourable Clifford Nelson, after 19 years of service as a judge of the Superior Court of Justice (Family Court), has joined our family mediation team. His 47 years of settlement-focused service as a litigator and judge will serve his mediation clients well. 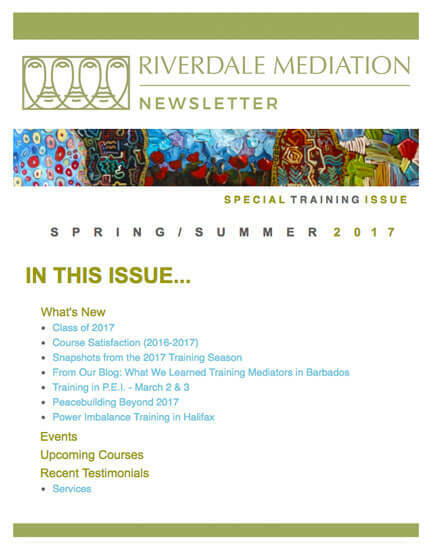 At Riverdale Mediation, we accept clients who have counsel as well as the self-represented. We welcome Cliff very warmly. 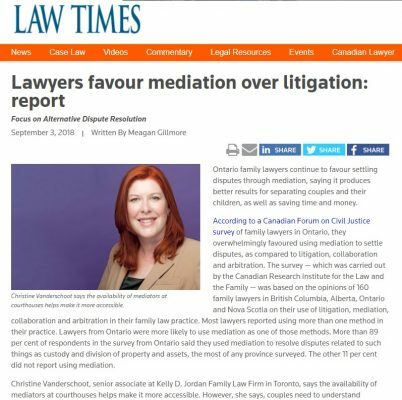 On September 18, Elizabeth Hyde’s article on “The (Unique) Perils of the Parenting Coordination Process” was featured in the “Recent Articles” section of the Ontario Bar Association (OBA) website. The article is accessible to OBA section members, and by request by non-members. It is also our featured Blog post of the week! You can read the full article here.